Can Vevo find a model that works – and make the music business rich? This is what Vevo, the seven-year-old online video startup co-owned by Universal and Sony, proudly tells its prospective advertisers. Although it might not be the most talked-about – or certainly the most lucrative – music service in existence, Vevo has a fair defense for the boast. 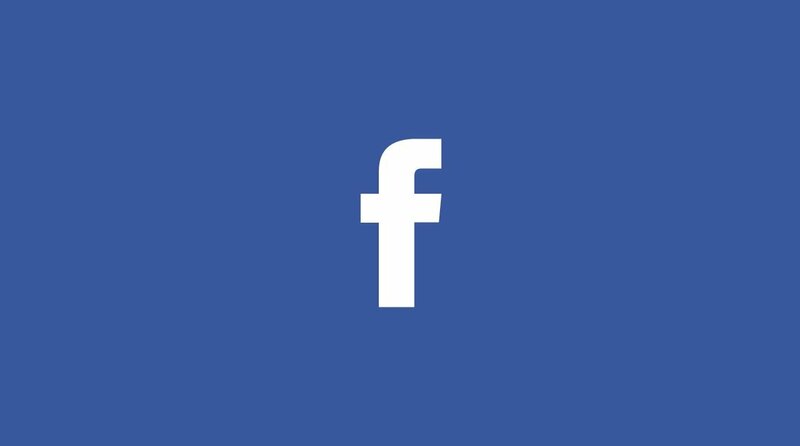 Every month, the platform reaches 400m unique users, and serves more than 19bn total views. 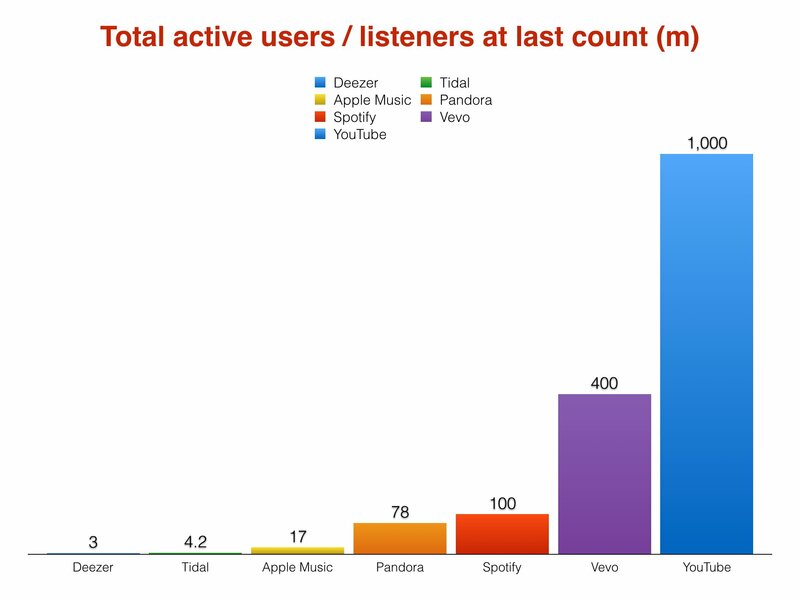 Compare that to Spotify, with just over 100m active users worldwide, and Vevo’s scale starts to sink in. Unlike Spotify, however, Vevo doesn’t have any paying customers. That’s a situation hurting its bottom line, and one CEO Erik Huggers isn’t ignoring – with plans to launch a subscription tier in the near future. Yet Vevo’s plot to develop a healthy business model, and make music rights-holders rich in the process, remains heavily reliant on digital advertising. And when it comes to ‘free’, Huggers realizes he’s fighting a great deal of cynicism in label land. According to IFPI data, recorded music rights-holders received $2bn from subscription streaming services last year, but ad-funded platforms contributed just $634m. Over at Spotify, the difference was even more marked: the Swedish platform generated $219m from ads in 2015 and $1.95bn from subscribers – with the latter providing 90% of total revenues. You can see why labels are spooked by the idea of relying too heavily on ad-funded music. Huggers tells MBW: “I think there is a ton of upside in the ad-supported model – particularly in markets where advertisers spend a lot on linear television; the US and other developed markets come to mind. “Increasingly, we’re starting to see younger audiences depart the world of linear television, and they’re still very much the desired target audience [for most advertisers]. The current global television and digital video market combined is worth $200bn. With broadcast advertisers increasing shifting to digital, both Vevo and its ‘frenemy’ YouTube argue that music labels’ big pay day from ad-funded online video is an inevitability. “Historically it’s always been the case that ad dollars follow the eyeballs, but there’s always been a bit of a lag,” says Huggers. “For the first time in a long time we’re starting to see the shift of those ad dollars [to digital video]. That might be true, but surely Huggers can understand why labels looking at Spotify – with its measly $219m annual advertising income – find it hard to believe that advertising is a goldmine waiting to happen? “Because of the nature of video, we have an ability to monetize the advertising side of the house better than an audio-only service,” he replies. “If I look at the traction we have as a company, it’s pretty damn impressive. Audio services, nine-out-of-ten times, are wallpaper – very important wallpaper – that play in the background. “Video on the other hand is much more engaging and offers much more opportunity for advertisers and brands to cut through. What’s crucial to understand about the way ads are served on video platforms is that it all comes down to Clicks Per Mille (CPM): the rate per thousand views that an agency sells pre-roll space on a video to advertisers. In mature markets such as the US and Northern Europe, Vevo is believed to sell ad space to brands at around $25 CPM – significantly higher than YouTube’s average equivalent. Around half of this money then makes its way back to music rights-holders. To put that into context, if every play on Vevo was monetized, its 19bn monthly views would generate $475m a month, or $5.7bn a year. Sadly for Vevo and its record labels partner, these multi-billion-dollar tallies remain a fantasy. In reality, the company is believed to turn over somewhere around $500m each year, while posting annual losses. The key reason for Vevo’s financial shortfall is one of demand. Advertisers are currently only paying for pre-roll ads on a minority of Vevo’s billions of plays. In addition, that estimated $25 CPM rate represents the best of Vevo; in order to secure ads in more economically challenged areas, from Latin America to Southern Europe and beyond, its CPM comes down considerably. “Because Vevo deals in super-premium short-form, on-demand content, we’ve been able to attract very premium CPMs,” says Huggers. “The pricing is on par with what brands pay for linear television. That’s not true for every other type of content, but for music videos, it’s certainly been the case. Vevo’s outgoing Chief Revenue Officer, Nic Jones, is well-versed in the ever-evolving value of online advertising. The Aussie exec has an impressive CV in the world of media sales, including lengthy tenures as Chief Digital Officer of agency giant Starcom MediaVest. The most influential period of his pre-Vevo life came at Rupert Murdoch’s News Corp, where he spent almost four years as MD of Interactive News in the early noughties. It taught him that becoming heavily profitable by balancing a subscription business with an advertising business is certainly not impossible. Just under 80% of views of Vevo’s 200,000+ premium music video library currently take place outside the US – but that the States remains its biggest revenue generator. “Clearly, that has to correct over time, and I’m confident that it will,” says Jones. Even if online video revenues do begin to mushroom, Vevo’s business model will still face considerable challenges. For one thing, there’s the small matter of its ownership structure. MBW revealed earlier this year that Universal Music Group’s stake in the company now stands at 49%. Other shareholders include Sony Music, Abu Dhabi Media and Alphabet/Google. Then there’s its payment commitments: in addition to the 50% of revenue Vevo pays to rights-holders, 30% of any cash generated by plays on its YouTube channels goes straight to the Google platform. Overall, around 90% of Vevo’s revenue is therefore paid out to its partners and owners. That’s even a tighter margin than Spotify. This is money Vevo can ill afford to be frittering away – but at least it has time on its hands to turn things around. YouTube’s involvement in Vevo only materialised when the startup raised over $100m in cash back in 2012. Vevo has reportedly just employed Goldman Sachs to raise another $300m – $500m, to be spent on aggressive international expansion and product development. Here’s a thought: if Vevo’s raises $300m+ this year, it would easily see the firm through its current exclusive partnership deal with YouTube – thought to end in around 12 months’ time. The prospect of Vevo picking a new primary partner in the shape of, say, Facebook – with its 1.7bn unique users – is certainly an enticing one (although rendered less likely by Google/YouTube’s current minority equity interest). What, though, if Universal and Sony finally snapped with YouTube and removed their licensed content? A decision to shift Vevo over to Facebook or Amazon suddenly becomes a bold political play for the wider music business. Says Huggers, diplomatically: “YouTube is, in today’s world, a very important partner to us. Vevo has had a long and established relationship and we work together very well. “At the same time, we’re always looking at opportunities to improve the business and the economics of everyone involved. 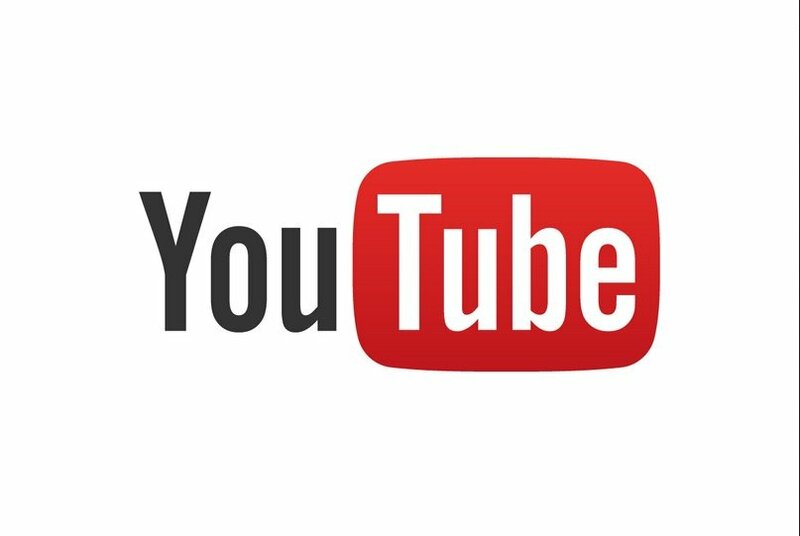 One aspect of YouTube that Huggers is openly envious of is the platform’s reach, having long surpassed the billion monthly user threshold. 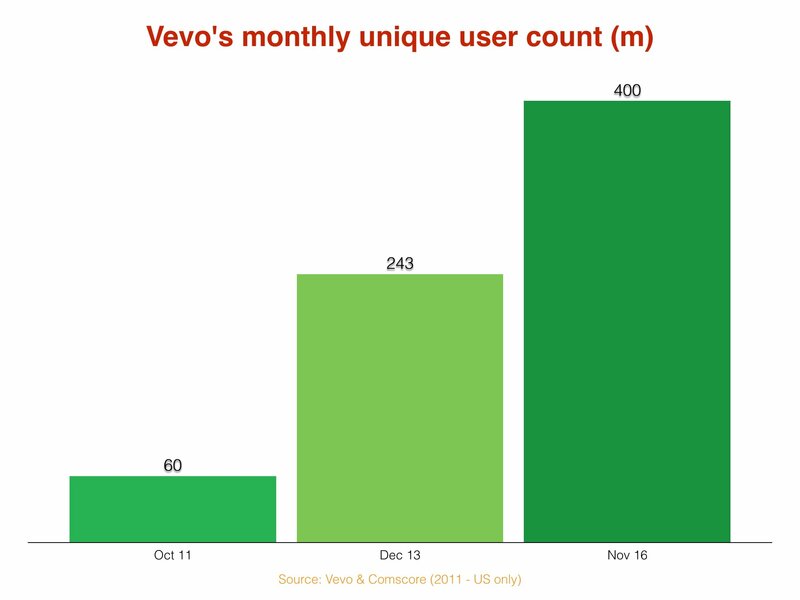 Vevo, remember, is back on 400m users, but growing rapidly: it only took 18 months to get from 12bn monthly views to 19bn. Could it ever reach the magic billion user milestone? “I don’t think that’s impossible,” says Huggers. “There are still a lot of people coming online around the world via smartphones and other devices. It is surely no fluke that Vevo now appears to be driving as much of its business away from YouTube (and that 30% payment commitment) as possible. The new Vevo app and website arrived this summer to much fanfare. Both are based on a proprietary video player which has nothing to do with YouTube. On the one hand, YouTube and Vevo are co-dependent allies: it’s estimated that around 38% of YouTube traffic comes through Vevo channels. On the other hand, YouTube’s sales force is a direct rival for the same ad dollars Vevo is trying to maximize (Vevo sells itself as a premium-only alternative to Google’s visual jumble sale, boasting of a 70% watch completion rate). “Clearly, we overlap with YouTube a lot,” says Nic Jones. “But at our core, we actually have a different view on advertising. That ‘bespoke and integrated’ focus is at the heart of Vevo’s new drive to create sponsored original long-form and serial-view video, embedding brands into the content rater than simply plonking ads at the start of music videos. 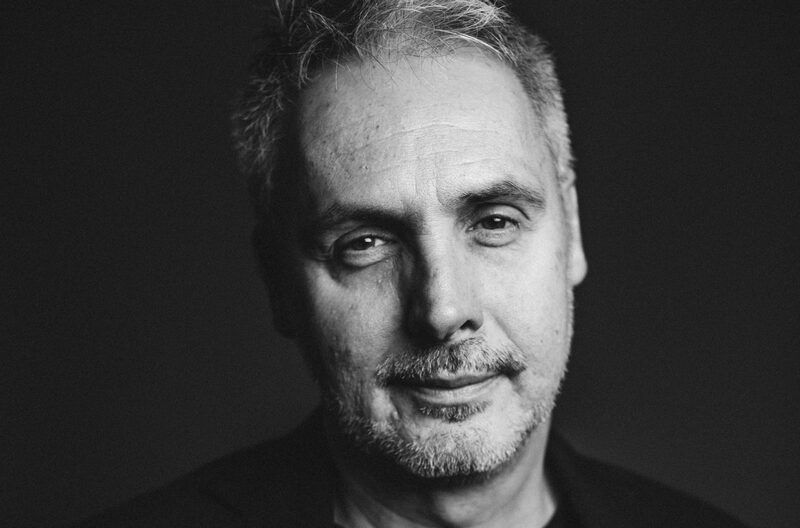 Earlier this year, Vevo promoted British exec Tom Connaughton to head up Vevo’s global content team in New York, tasked with expanding on the progress made by Vevo-branded shows such as LIFT and Dscvr outside the UK. Part of the role was to “build content around… internet-based talent”. Broadly speaking, then, there are two strings to Vevo’s plan to expand its income base. 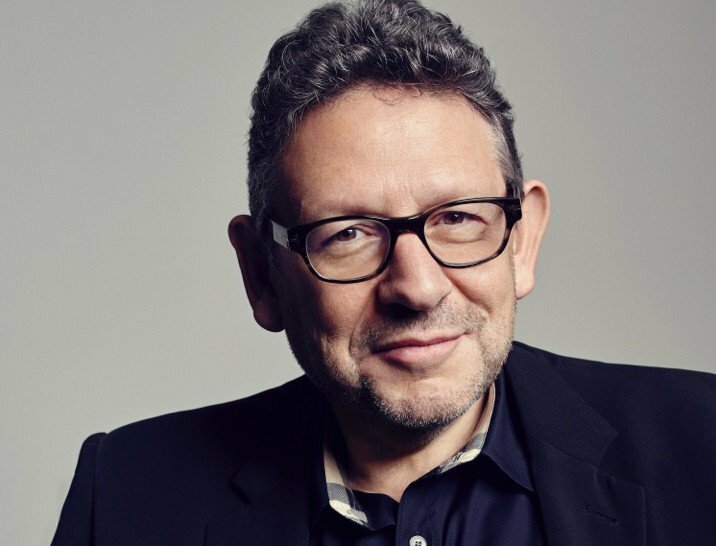 The first, very possibly driven by the booming demands of Lucian Grainge (pictured inset) and Vevo founder Doug Morris, is subscription. 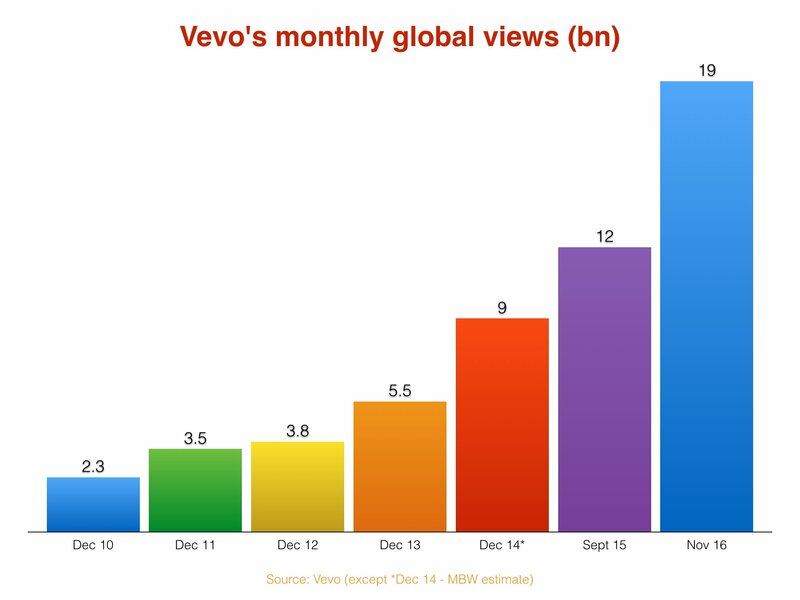 Some helpful maths: Vevo reaches 400m unique users every month. If it could just convince 5% of these people to pay, it would attract 20m subscribers – more than Apple Music’s current tally. A fresh off-YouTube licensing agreement penned with Warner Music Group will help its chances. The towering challenge, of course, is that no-one’s cracked a paid-for music video offering so far. Vessel arrived last summer to much major label support and a plot to ‘window’ premium new music videos days ahead of YouTube – charging customers just $2.99 a month. It badly flopped. “There’s different ways to approach this than Vessel or the likes of TIDAL,” says Jones. “I think the lie’s been shown to the idea of [subscription appeal] based on exclusivity. “There’s a currency around music, people feel the need to talk about it. Vevo’s second big bet – intrinsically tied to subscription – is its creation of original content. Once again, this is uncharted territory: only a couple of brands, including Vice, have successfully created acclaimed music video content online – and they’re not charging for it. Jones drops a big clue as to the kind of programming we might start to see from Vevo in the coming months. In short, Vevo believes traditional television brokers have forgotten the power of music’s visual appeal – both in terms of ‘premium’ music videos, and direct communication between an artist and their fanbase. “There’s a lot of content out there, directly related to music, which remains very hard to access that could work exceptionally well in the world of a subscription service,” says Erik Huggers.